A high school thesis project evolved into an odyssey that brought a University of Virginia student from rural Virginia in touch with her passion on the other side of the world. 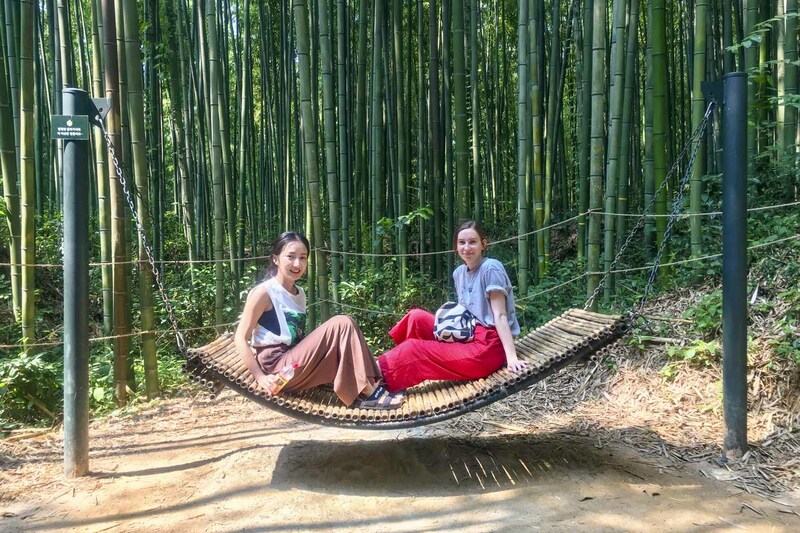 Olivia Grotenhuis, a third-year student majoring in foreign affairs and East Asian studies, spent her summer in Gwangju, South Korea, studying the Korean language and culture at Chonnam National University as part of the U.S. State Department’s full-immersion Critical Language Scholarship program. During her two months there, she gained insight into Korean culture and politics at a time it was periodically taking center stage of world attention. The Korean peninsula first intrigued Grotenhuis as a student at Veritas Press Academy, an online classical education high school. She wrote her senior thesis on that region after reading “Escape from Camp 14,” about a North Korean political prisoner who was born in captivity and is the only person known to have escaped from this particular camp. Grotenhuis thinks living in rural Madison County (estimated population: 13,115) intensified her curiosity about Korea. After high school, Grotenhuis worked for a year at Liberty for North Korea, a nonprofit organization that rescues and resettles North Korean refugees. She then decided to study Korean in college, enrolling in Northern Virginia Community College’s Annandale campus, the only one that offered Korean. She moved to Centreville, which has a large Korean population. She transferred to UVA as a second-year student, studying the Korean language, but she was unable to speak it. 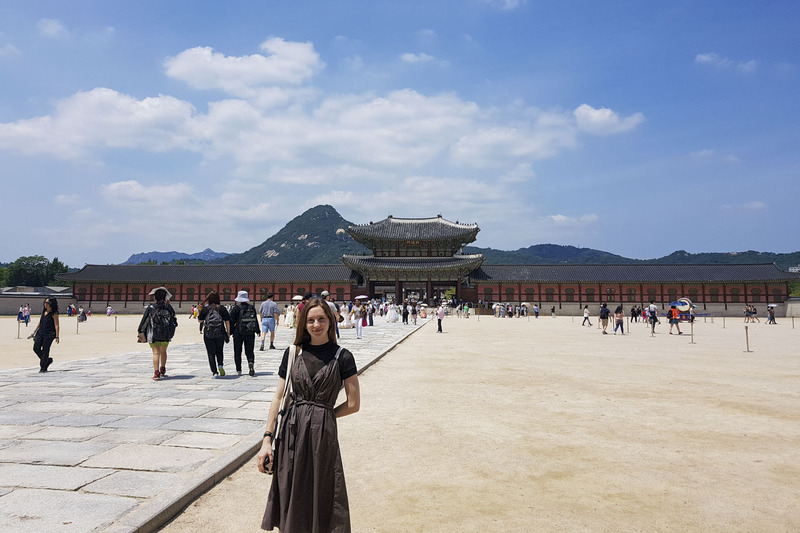 Grotenhuis was pessimistic, but the Critical Language Scholars program has a policy that very much limited her time to speak English, and her host family spoke only Korean. While in Gwangju, Grotenhuis examined the relationship between North and South Korea and their relationships with the United States. North Korea has long been a center of attention because of its nascent nuclear weapons program and its bellicose behavior. At UVA, North Korea has been an issue because of the case of Otto Warmbier, a McIntire School of Commerce student imprisoned while traveling in the north. He died in June 2017, days after being released in an unresponsive state and a month after he would have graduated from UVA. “Otto Warmbier’s death was incredibly tragic,” Grotenhuis said, “but it is also emblematic of the widespread ignorance that Americans have had about North Korea and how bad the human rights situation is in the Democratic People’s Republic of Korea. But Grotenhius warned that the Warmbier case is not an isolated one. Grotenhuis said the North Korean government has a three-generation punishment policy where not only is a malefactor imprisoned, but his or her parents and children are as well. While much of the world has focused on North Korea’s nuclear weapons, Grotenhuis said people need to view it from the Korean perspective. She said while the North Koreans have a large army, studies have shown that because it is malnourished and ill-equipped, it would be no match for the South Korean army. But the Korean “crisis” waxes and wanes and Grotenhuis is concerned that people’s attention on Korea evaporates when the fearful headlines fade away. Still, Grotenhuis’ summer was not spent obsessing over the nuclear north. Nor do the South Koreans worry as much about the situation, having become acclimated to the division of the country. And while there was the vague threat of a nuclear strike, Grotenhuis felt personally safe in Gwangju, which she found to be a very convenient city. Where her safety was at risk was in crossing the street. Grotenhuis, who wants to work on U.S.-Korea policy, possibly for the State Department, plans to return to South Korea for a longer period than two months. “I am waiting until I have all my ducks in a row before I go back, because I want my experience to be even richer than my first experience was,” she said. Traveling and living in South Korea has instilled in Grotenhuis a sense of self-confidence.